A classic novel by John D. MacDonald with an exclusive introduction written and read by Dean Koontz. Ex-cop Cliff Bartells might be the last honest man in Florence City, Florida. After quitting the force over a crisis of conscience, he takes a job at an insurance company buying back stolen jewelry. Cliff is focused on keeping the bottom line down and staying out of the spotlight.But when an affluent tourist from Boston is murdered over a hefty collection of jewelry, Cliff finds himself wrapped up in a case that’s making national headlines. 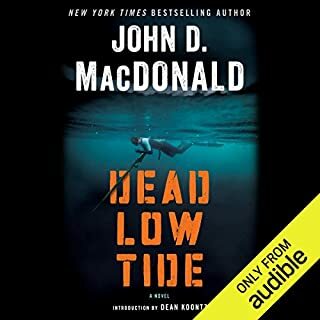 A classic novel by John D. MacDonald with an exclusive introduction written and read by Dean Koontz. Once an ordinary math teacher, Omar Krepps developed a knack for gambling, amassed a fabulous fortune, and spent the rest of his life traveling the world and giving away his millions. Upon his death, however, Krepps bequeaths nothing to his nephew and only living blood relative, Kirby Winter - nothing, that is, except an antique watch and a sealed letter to be opened after one year. But Kirby has much more in his possession than he realizes. The watch has the power to manipulate time. 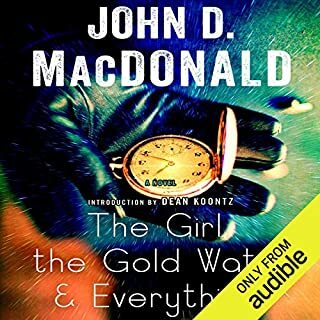 A classic novel by John D. MacDonald with an exclusive introduction written and read by Dean Koontz. When Mike Rodenska, a former journalist still grieving the loss of his wife, pays his old war buddy Troy Jamison a long overdue visit in Florida, he’s shocked at what he finds. Behind the indulgent exterior of Troy’s lush beach life - the parties, the year-round suntans, the shapely women, the infectious devil-may-care attitude of Troy and his friends - Mike senses inevitable disaster. Troy surrendered his life to drink once before. 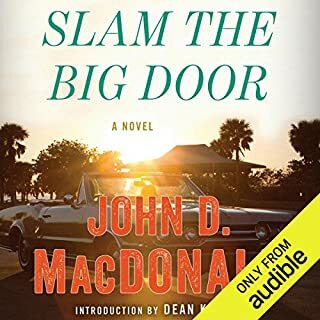 A classic novel by John D. MacDonald with an exclusive introduction written and read by Dean Koontz. A college graduate and amateur fisherman, Andy McClintock is stuck toiling in the office of a construction company. But when Andy tries to quit, his boss offers him a promotion and a raise - and then promptly kills himself with a harpoon gun. At least, that's what it looks like, until the police rule it homicide - with the murder weapon belonging to Andy. A classic novel by John D. MacDonald with an exclusive introduction written and read by Dean Koontz. 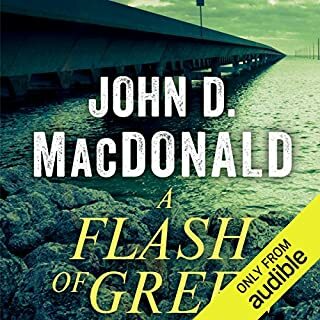 A Flash of Green tells the gripping story of small-town corruption and two people brave enough to fight back, featuring many of the themes John D. MacDonald explored better than anyone in his legendary career as a leading crime novelist. The opportunists have taken over Palm City. Silent and deadly, like the snakes that infest the nearby swamps, they lay hidden from view, waiting for the right moment to strike. Political subterfuge has already eased the residents toward selling out. 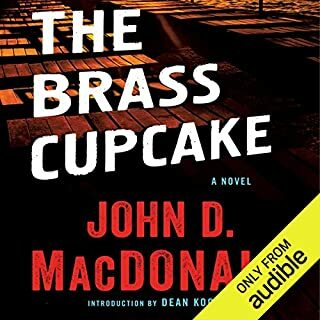 The classic John D. MacDonald thriller about a Korean War vet searching for a stolen fortune in a small town. Our edition comes with two excellent bonus essays, a biography of John D. MacDonald, and an exploration of the paperback revolution of the mid-20th century. Her veneer was big city...but one look and you knew Toni Raselle's instincts were straight out of the river shack from where she came. I watched her as she toyed with the man, laughing, her tumbled hair like raw blue-black silk, her brown shoulders bare. Eyes deep-set, a girl with a gypsy look. So this was the girl I had risked my life to find. This was the girl who was going to lead me to a buried fortune in stolen loot. 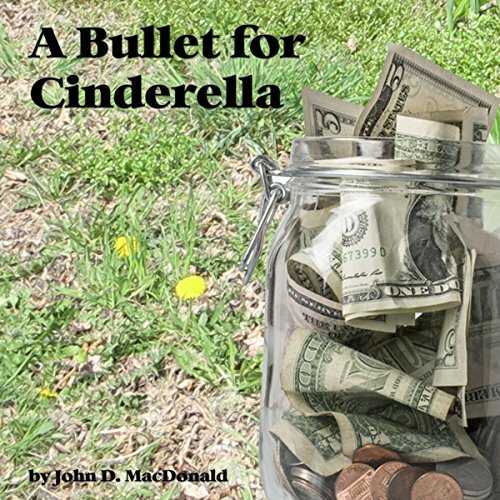 A Bullet for Cinderella is one of John D. MacDonald's earlier works but nonetheless is a brilliant piece of writing. A POW in the Korean War, Tal Howard returns to find himself restless and haunted by the tale told to him by a friend who didn't make it home: a stolen fortune hidden away in the soldier's hometown with the only clue a girl named Cinderella. Tal decides to leave everything behind and go and try and find the money. He arrives to discover another POW has the same idea, a man who was feared in camp for his ferocity. Tal is mistaken by the local law as an unwanted private investigator, falls in love with a local girl, and needs all the help he can get to find "Cinderella". 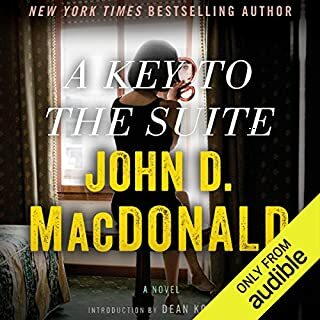 This gripping story will keep you on the edge of your seat until MacDonald puts all the pieces in place for a satisfying ending. What did you love best about A Bullet for Cinderella? Very polished for an early work. Tal - range of emotions - not one dmensional. The fact that we ( My husband and me ) found it. We thought we had heard everything of this author's on audio. IT was vintage MacDonald, although the main character ( sorry, forgot his name ) was not quite as likable as Spencer and other MacDonald characters. Redeemed himself at the end, though. Cry just once. Not my hubbie though. We listened together in the car. We both thought the reader was quite good so no idea why one person gave him a bad review. To each his own, I guess. What made the experience of listening to A Bullet for Cinderella the most enjoyable? Delighted to find one of the author's books that I had not already read..or heard. Good stuff. Did a good job with the reading...especially the various voices. No problem knowing who was talking. One very sad scene but...happy ending made up for it. Another reader dumped on the reader. No idea why. I thought he was good. Listen to the sample and decide for yourself. The first JDM book I've had trouble finishing. Not even close to his best work. No range, same cadence for all characters, just awful. Story is vintage Macdonald though. Heavy accent and strange word emphasis was very distracting. Do not recommend.